Ian Snow Cushions are handcrafted by skilled artisans inspired from nature and iconic figures all around the world. 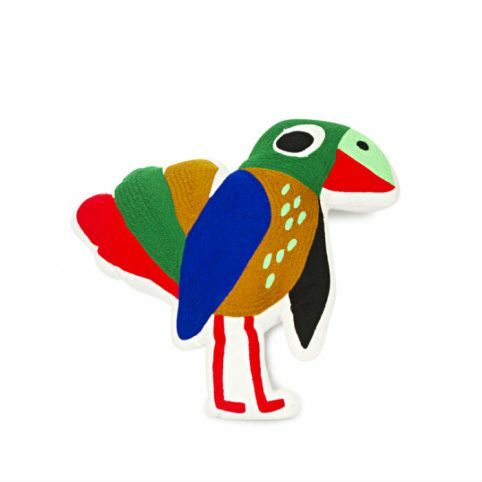 The Frida Kahlo With Birds Cushion has a striking colour palette of bright yellow, blue, red and green shades, and a red pom pom trim. 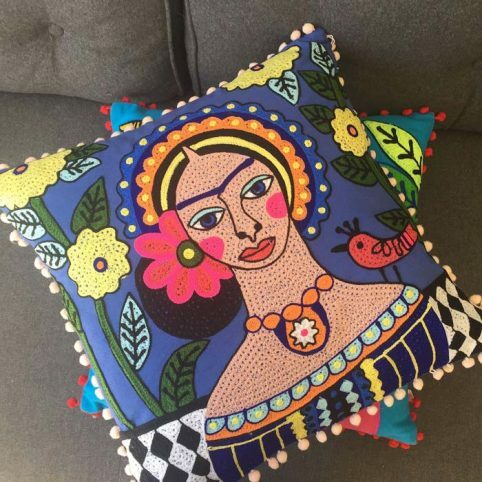 The Frida Kahlo Cushion is a statement piece with a boho feel – great for adding a pop of colour to your living room, or bedroom. 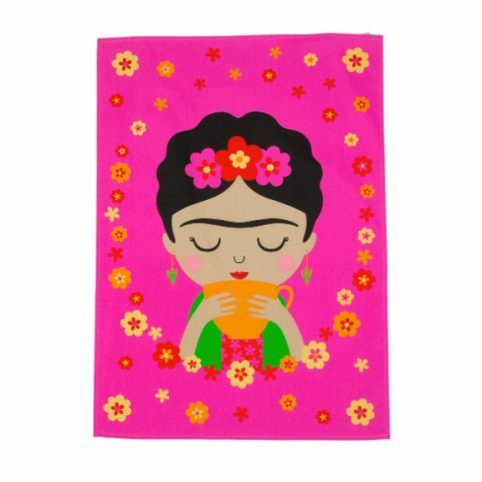 If you like this, take a look at our other cushion with a gorgeous Frida Kahlo illustration from the same range. All Ian Show Cushions are ethically sourced and handmade using traditional skills.